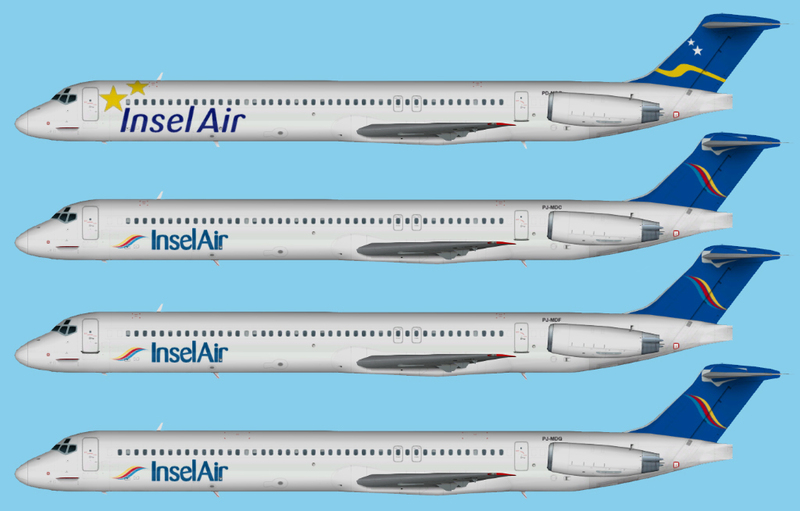 Insel Air paint for the AI Aardvark MD8X base model. These are textures only. The AI Aardvark MD8X base model is required. Insel Air paint for the NAAI Fokker 50 base model. Insel Air McDonnell Douglas MD-82 for the AIA McDonnell Douglas MD-80 base model.